To equip generators that generate electricity at modern enterprises, a device such as a gas turbine unit (GTU) is often used. It is a mechanism in which with the flow of gas generated during combustion of fuel a torque is formed that rotates the rotor and allows extract electrical energy of full value. The operation of gas turbine plants is based on coordinated functioning of several modules: engine, automation, electricity generator, reducer and auxiliary elements (compressor, heat exchanger, start-up system). The main advantage of the constructions of this class is their universality. They can work not only to receive electricity, but also to generate two classes of energy: thermal one in parallel with electric one. This effect is achieved due to the fact that the gases leaving the system in the waste heat boiler influence on the water present there, transforming it into a vapor state. As a consumable material, gas turbine power plants can use not only gas (coke, mine, natural, wood, oil, biogas), but also diesel fuel or kerosene (usually this option is used in an emergency situation). It is known that the bulk of GTU is adapted to be operated even with low-calorie fuels with low methane concentration (less than 30%). an open cycle in which compressor draws air outside the system and then transfers it under high pressure into a special combustion chamber inside which it is recycled, followed by release of energy. Gas-turbine and combined-cycle plants of thermal power plants function mainly according to the open cycle scheme, since it is considered more expedient and economically profitable. Enterprises value these constructions for their high operational reliability, a huge motor resource, a low noise level. In addition, the price on gas turbine plant is set at an acceptable level, which makes it affordable for most potential consumers. 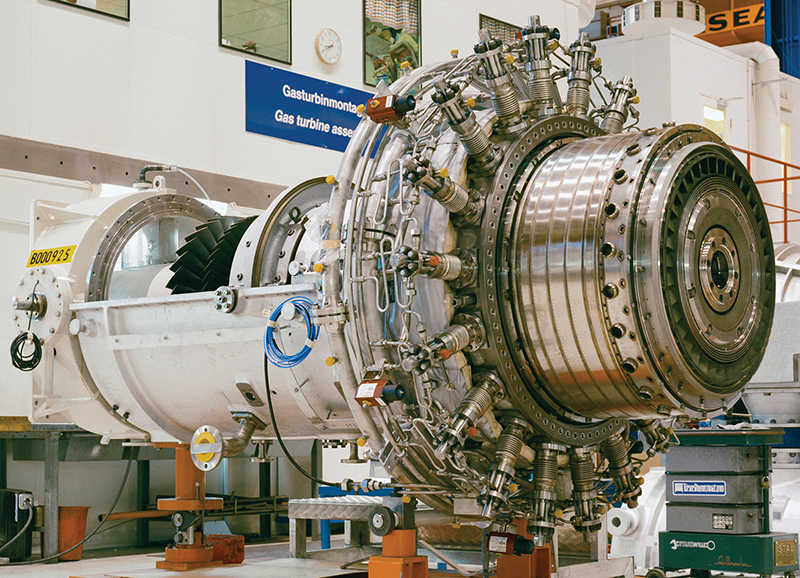 In industrial conditions, gas turbine systems, made in the form of a block-modular structure (also called cluster ones), have become widespread. They are represented by a set of ready-to-operate power units, combined by a common control system. Modules are unified (common sizes and parameters) and can be replaced without any consequences (in case of a breakdown) by analogues or added (if increasing the electrical power of the system is needed). Thanks to block-modular gas-turbine stations, it became possible to quickly assemble and repair equipment, to provide enterprises with trouble-free operation even in situations close to emergency ones. In modern conditions, it is the municipalities that most often use gas turbine plants for the production of electricity and heat. And not only in large megacities and large settlements, but also in remote settlements, at sites located in hard-to-reach regions. in mechanical engineering (gas turbine modules are installed on aircraft, railway, maritime, road transport). 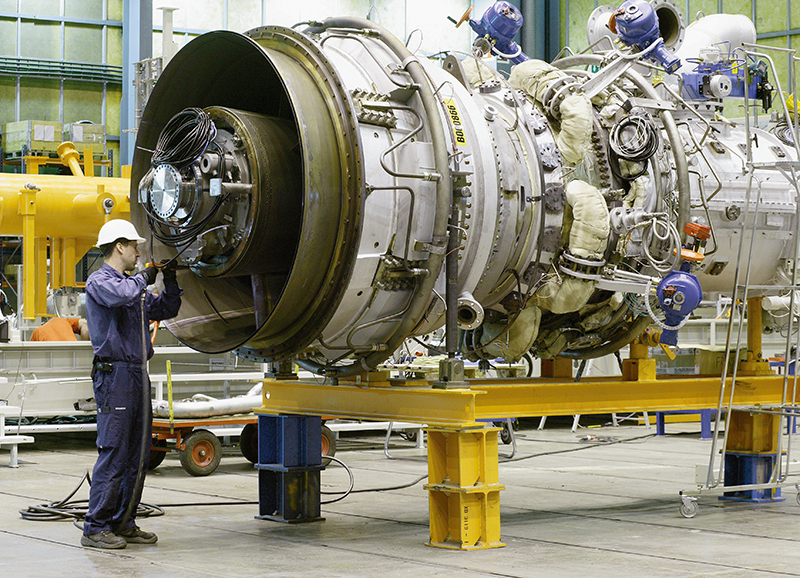 Gas turbine units of thermal power plants are available in almost every village in Russia. The argument in favor of their active exploitation is universality, high climate adaptability, as well as variability of use with different types of fuel and modes of operation.